Local school nutritionists applauded changes made to school lunch nutrition policies this week. The changes, which maintain current rules about sodium levels, milk fat content and whole grains, were announced Monday by the Department of Agriculture. Elkins, who also serves as State Public Policy and Legislation chairwoman for the Washington School Nutrition Association, said the newly announced changes preserve existing regulations. And while the USDA changes have been heralded by some as a “rollback” of Obama-era policies, Elkins disagrees. “None of this is new, it’s just keeping it at what we currently do,” she said. 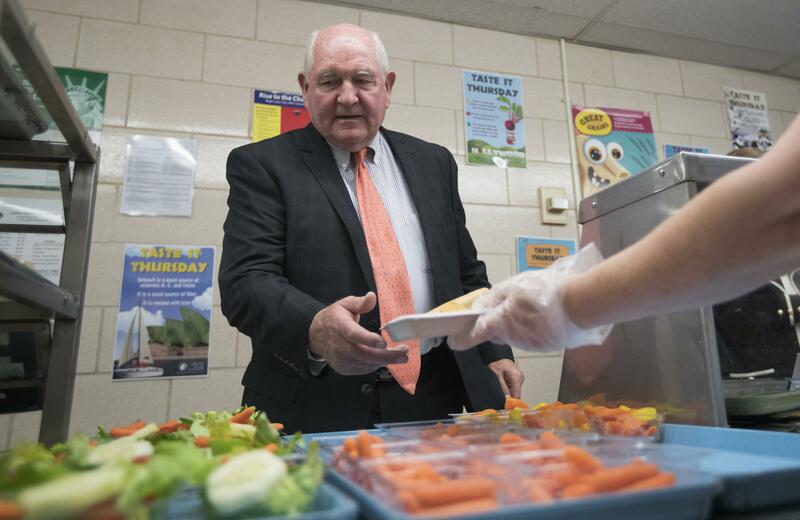 The rule changes, announced by newly appointed U.S. Secretary of Agriculture Sonny Perdue, allow states to continue to grant waivers to schools unable to meet whole grain-rich food requirements. The USDA changes will also allow schools to serve 1 percent flavored milk. Previously, school lunch programs could only serve low-fat flavored milk. Finally, the USDA changes pause the reduction of sodium from school lunches. Before the USDA rule change schools were expected to meet the “Sodium Target 2” by the fall. Under the current requirements, elementary age children are supposed to have 1,230 mg of sodium per day, middle school students 1,360 mg of sodium and 1,420 mg for high school students. Sodium Target 2 would have greatly reduced those levels, Elkins said, making it hard for schools to serve many things that contain naturally occurring sodium. Spokane-area schools are already meeting the Sodium Target 1 requirements. “It’s more of common sense and keeping it at our current standard,” Elkins said of the USDA rule changes. Doug Wordell, Spokane Public Schools director of nutrition services, agreed with Elkins. “I do not think the recent USDA rule change is dramatic,” he said in an email. However, not everyone agrees the changes are beneficial. In a news release, the American Heart Association called the changes a “rollback masquerading as ‘flexibility.’ ” The change to the sodium requirements, as well as the flavored milk and whole grain changes, will hurt childrens’ health, according to the release. The Alliance for a Healthier Generation also decried the changes in a news release.